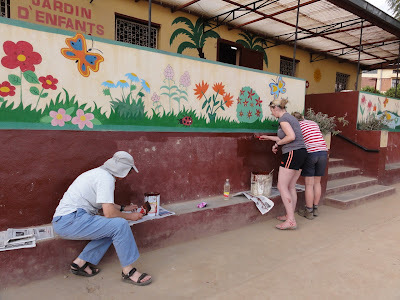 The team painting the wall at the pre-school at St. Joseph. Akany Avoko's newest mission is Sharing. This sharing includes everything from hosting a nation-wide conference for childcare centers to donating extra clothes to other deserving programs. 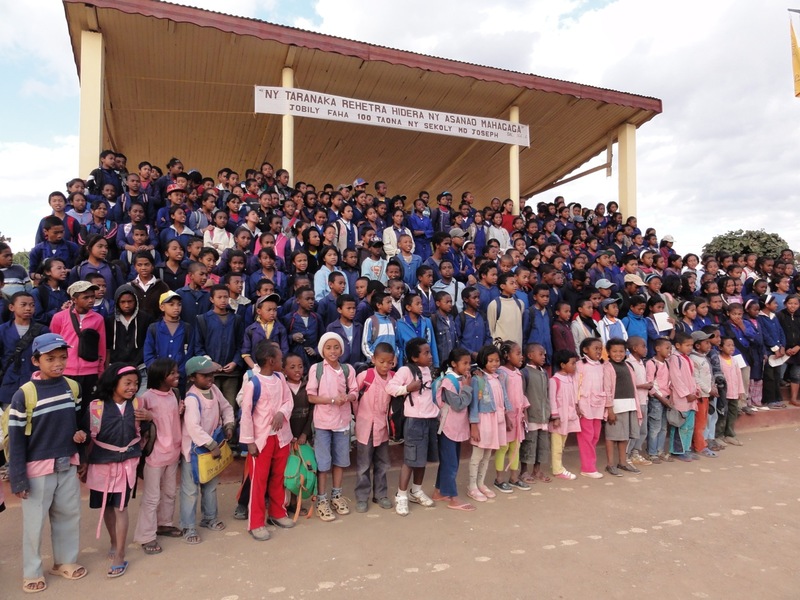 One important aspect of the Sharing mission is sharing resources and connections with other centers. 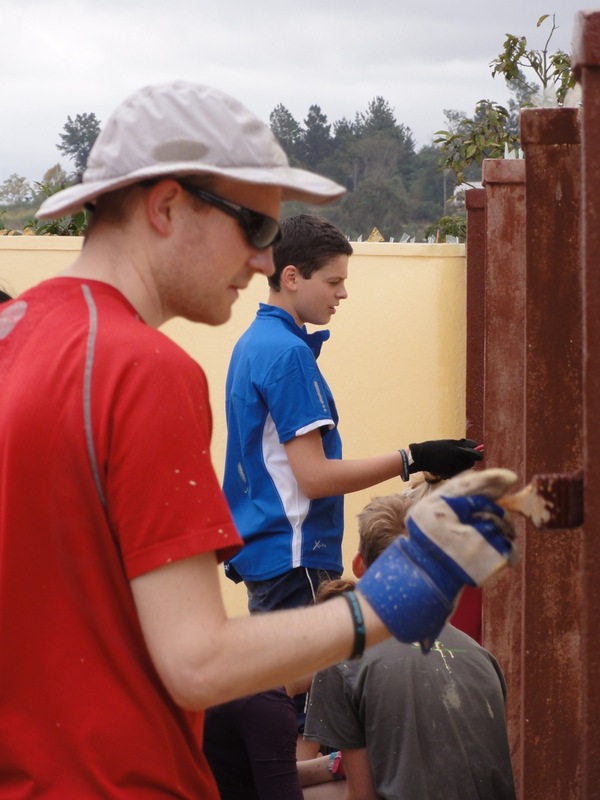 We were grateful to host 7 different international student volunteer groups this past July and August. We wanted to share this bounty of support and volunteer workers. 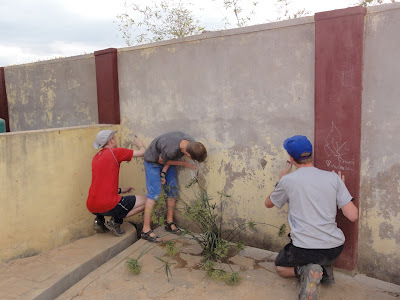 The George Abbot School Team 3 from Outlook Expeditions stayed at our center but completed a service project at the nearby St. Joseph school where many Akany Avoko students attend secondary school. The generous and hardworking Team 3 from George Abbot School. 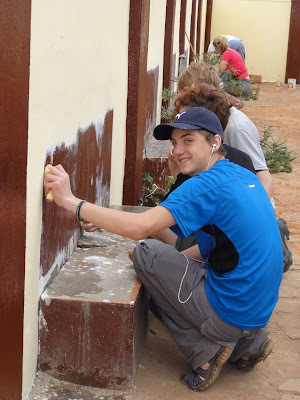 The 14 students and teachers provided the funds and the effort to paint walls around the school compound. The work at St. Joseph school was organized by Kate Bialous, an ex-volunteer from Akany Avoko who returned to Madagascar after starting her own Poland-based charity, Ankizy Gasy. 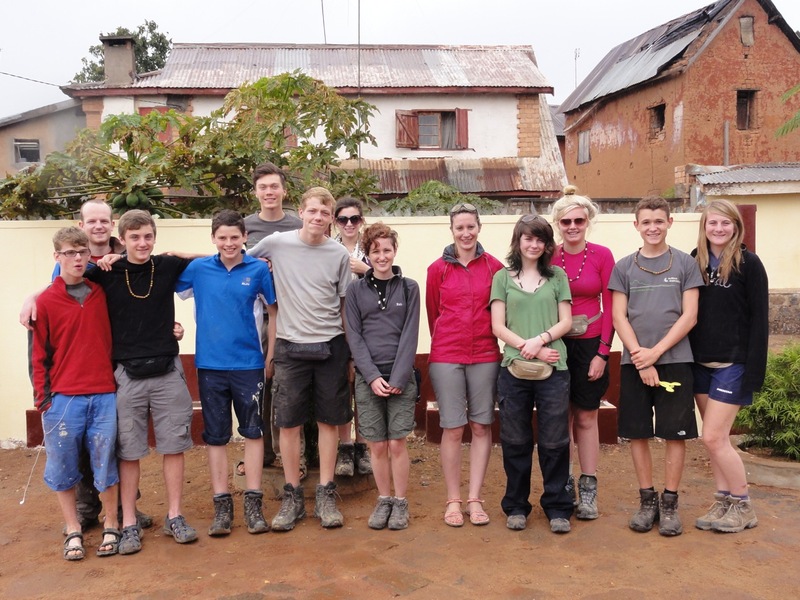 The charity's main beneficiary is the St. Joseph school in Ambohidtratrimo where Kate also lives and operates a volunteer house. The quite generous donations from the group were able support not only the work at St. Joseph, but also many projects at Akany Avoko. 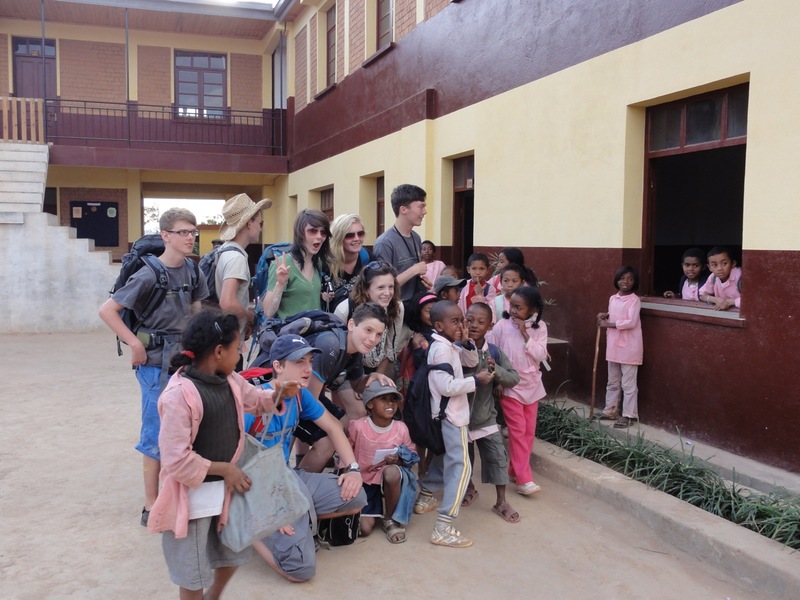 This partnership with George Abbot School, Akany Avoko, St. Joseph and Ankizy Gasy, was a fine success. Next year, we hope to continue this model of connecting student volunteer groups with other charities, schools and centers. 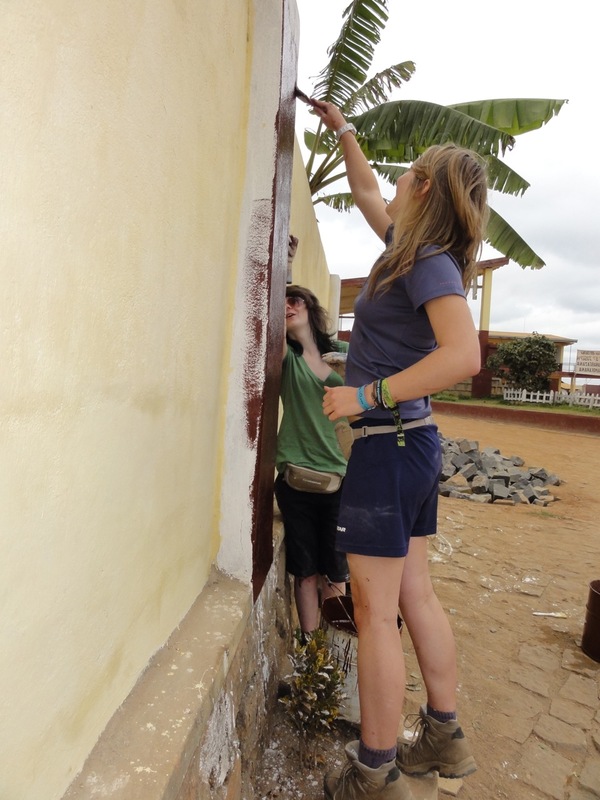 Scraping and preparing the wall for painting. Meeting some of the children from the school. Some of the more than 500 students of St. Joseph. Listening to some music while cleaning up after painting. The worst part of painting, cleaning rollers. 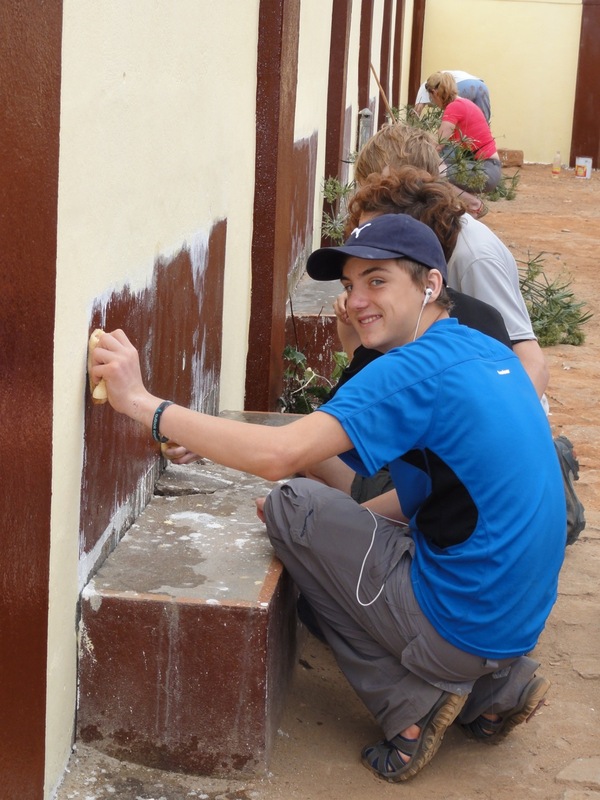 Many brushes and rollers were needed to complete the large project. 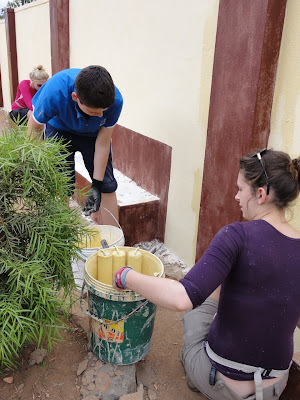 Thank you Akany Avoko for sharing a wonderful group of volunteers with us and thank you again a great Team 3 from George Abbot School for your great job in our school. Soon, in October there will be students coming back here. They will certainly remember you! Soon, in October there can be scholars coming again right here. They are going to without doubt do not forget you! Thank you Akany Avoko for sharing a exceptional body of workers of volunteers with us and thanks yet again a best crew 3 from George Abbot lessons on your high-quality job in our university. free online movies soon, in October there can also be students coming once more right here. They're going to no doubt consider you!